“A wonderful poetry collection that will delight readers with its authentic humanity, deep insights, original-yet-identifiable sentiments, and a linguistic playfulness that conjures the priceless mix of tears and laughter. Highly recommended!" The Columbia Review. “Please Don’t Ask” by Lyman A. Ditson is an eclectic collection of original poetry, comprising of spiritual, natural, secular, and humorous pieces that share a common quality: a keen eye for fresh observations of people and the world they inhabit. 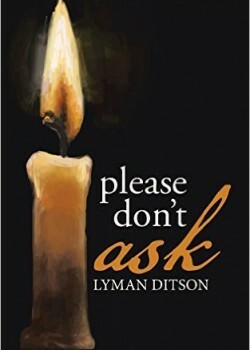 In summary, “Please Don’t Ask” by Lyman A. Ditson is a wonderful poetry collection that will delight readers with its authentic humanity, deep insights, original-yet-identifiable sentiments, and a linguistic playfulness that conjures the priceless mix of tears and laughter. Highly recommended!